I released a Monarch Butterfly this morning before a storm rolled through. She took off kind of quick though so I decided to walk around the garden first. Lots of things in bloom. The seed heads to butterfly weed look really showy next to the asters in bloom, though I never really stop to focus on that in the video. After walking around I found her on our grape vine sun bathing. Hopefully she makes it to Mexico as I didn't get any females laying any eggs in the garden. 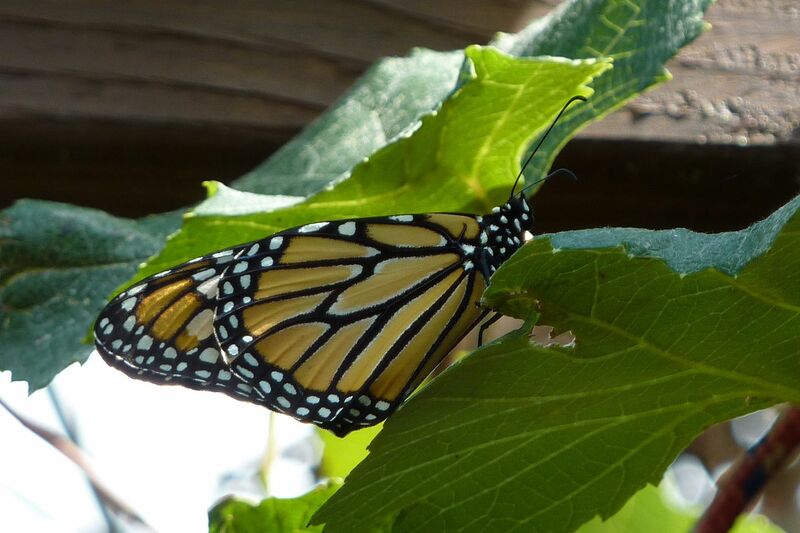 I've seen Monarchs flying about but they really haven't taken advantage of my yard.